In June 2017 Rushden Historical Transport Society after 4 years of negotiations acquired Rushden Goods Shed fron the County Council. This is just the start of a journey to restore the renovate the building to a Heritage Community Hub for the people of Rushden and surrounding area. 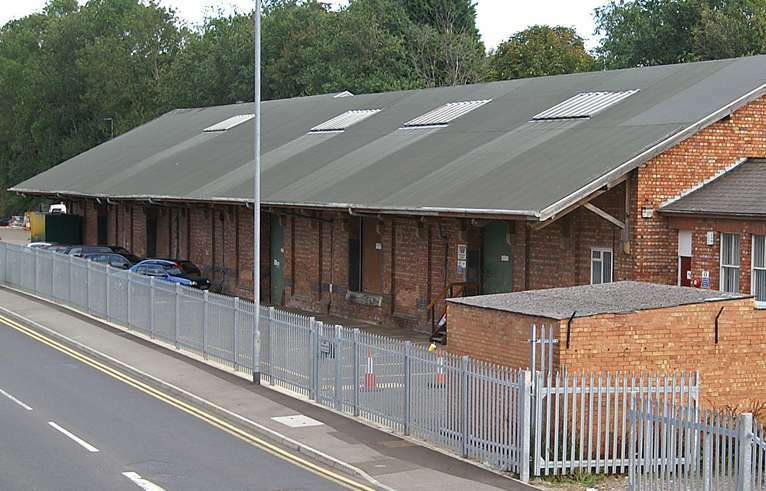 The Committee of Rushden Historical Transport Society are pleased to announce that after a long period of negotiation the Society has completed the purchase of the Rushden Goods Shed from Northamptonshire County Council. The Goods Shed played a vital role in the socio-economic development of Rushden at the end of the 19th century allowing the town to expand through the boot and shoe industry. The building is considered to be one of the largest and finest in the area .The Society and supporters felt that it was important that the site and building should be saved as part of Rushden’s heritage. The Society intends to develop the site and building as a Heritage Community Hub for the people of Rushden and surrounding areas. Already, work has started on clearing the site, along with repairs to the fabric of the building, and ensuring that services are in line with current standards. The Society would like to thank East Northamptonshire Council and Rushden Town Council for their support throughout the purchase process.